Jackie sees painting as a source of joy, healing and self-discovery. She believes creativity can be used to connect to self, others, the universe and your own unique purpose. Jackie considers art an important part of her self-care practice and wellness routine. She understands the beauty and power of art to transform, heal and inspire! When not in the studio painting, Jackie can be found swimming in the ocean, walking in the woods, and spending time in nature with her family. She also enjoys yoga, reiki, meditation, travel, and photography. 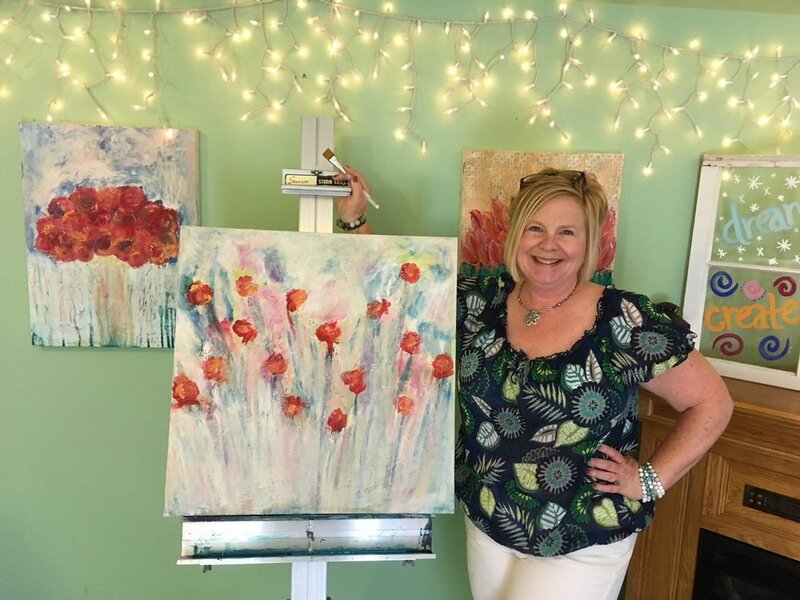 To learn more about Jackie and see more of her art go to: www.jackietury.com or connect with her on Facebook and Instagram.